Recognizing one’s efforts is a great way to make a person feel appreciated and motivated to continue striving. This is one of the reasons why many organizations award their students or employees with a certificate of achievement. It also serves as an effective way to further an individual’s personal and professional development.You can find more information regarding achievement certificates below. 1. Title: As the main headline of the document, the title is usually positioned at the top part of the page. Though you can keep this section short, some companies use longer titles to incorporate the name of their organization. 2. Presentation Line: This line of text can have the words is awarded to or is hereby presented to printed right below the title. 3. Recipient: The name of the person or group receiving the award should be indicated in this part of the certificate. This must be spelled out correctly, or it may leave the wrong impression with its intended recipient. 5. Description: The reason as to why the recognition is given should be explained here. This could be through a simple statement or a lengthier paragraph which outlines the characteristics or achievements of the recipient. 6. Date: Usually written before, within, or after the description, the date when the certificate was earned or presented must be spelled out clearly in the document. 7. Signature: Most certificates have to be signed by an authorized representative of the organization handing out the award to prove its authenticity. In some cases, this can be more than just one person. 8. Logo: A business logo or some other image related to the subject of the certificate must be included. 9. Seal: It is common for the certificate to have a seal affixed or printed directly on the paper. This is usually added to professional documents. 10. Lines: Some certificates may have a few lines to fill in the name, description, date, and signature elements of the document. 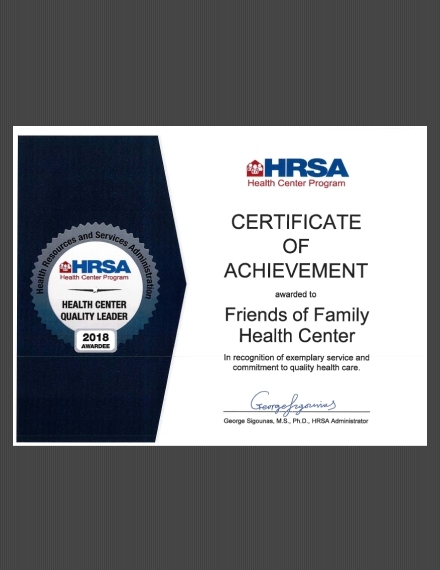 Once you have determined who needs to be recognized and why they deserve to be recognized, you can easily formulate the right wording for the certificate. 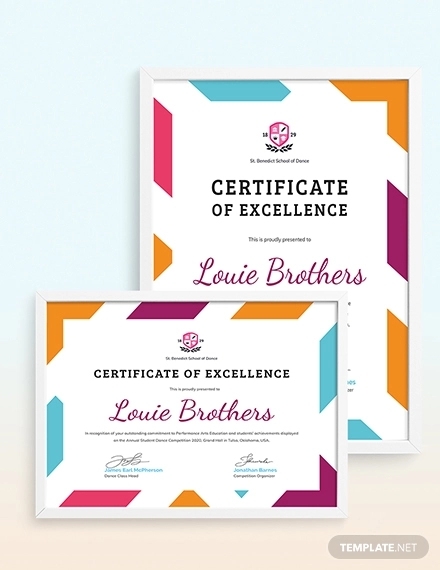 Most certificates carry the same type of wording, so don’t worry about sounding too cliché or unoriginal. If you’re handing out the same type of award to multiple people, consider using a template instead. While you could always create your own template on an application you’re comfortable with, there are many certificate templates online that are free to use. Remember to save the template in your desktop for future use as well. Be sure to use high-quality paper to print your award. 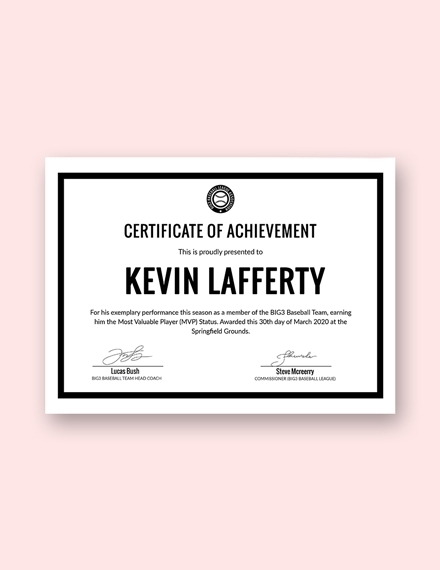 Certificates are typically printed on a special type of paper which vary from a regular printing paper in terms of weight and texture. 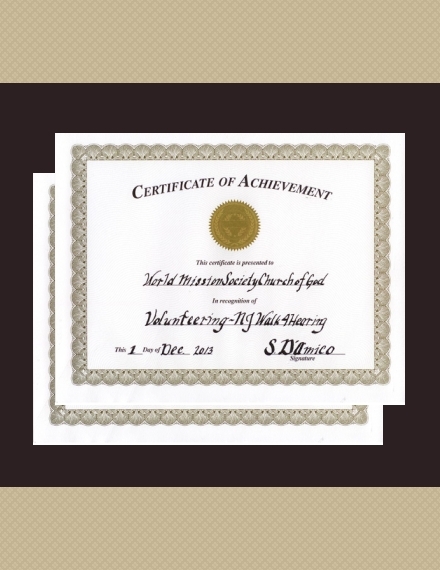 A glossy or colored material may also be appropriate for certificates granted to students and children. 1. 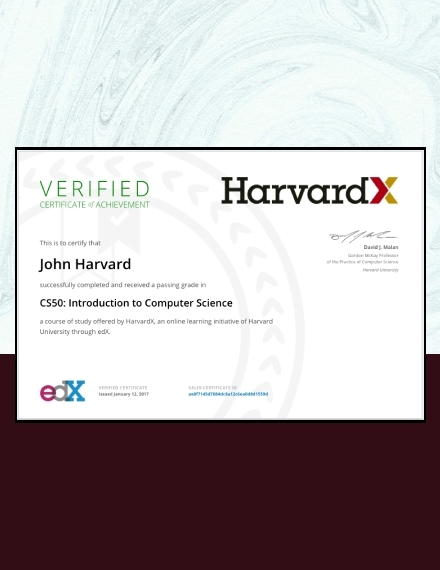 Determine the type of certificate: What type of achievement is being honored? It can be anything from an academic level to a work-related form of accomplishment. This will help you identify the proper wording and layout suitable for the certificate being created. 2. Visualize your layout: If you aren’t using a template for your certificate, starting from scratch is the trickiest part for any inexperienced designer. 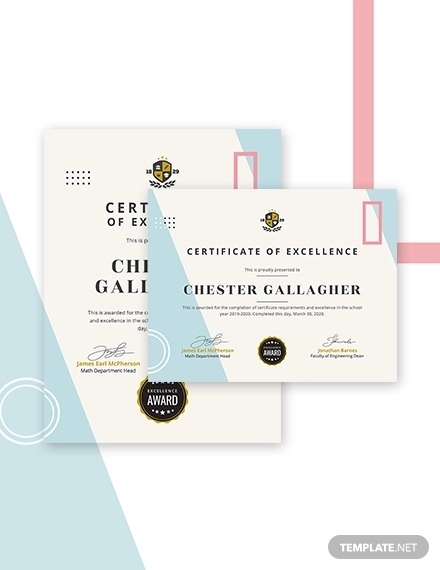 It’s always a good idea to get inspired by existing award designs to see how you can craft the layout of your certificate in the best way possible. 3. Brand the certificate: The use of corporate colors and your company’s logo design will greatly influence the presentation quality of your certificate. These graphic elements must be added carefully to the layout for a more subtle yet noticeable approach. 4. Enter the necessary information: Remember to personalize the certificate before printing. It must reflect the distinctive qualities of the recipient to make the award more meaningful to the individual. Also, make sure that the person’s name is spelled out correctly to avoid any confusion or issues. 5. Include the proper authorities: Even if an employee has had little to no interaction with the organization’s executive manager, receiving a certificate of appreciation from a respected member of the company can be incredibly valuable to recipients. It’s an honorable gesture they’re sure to remember for a very long time. 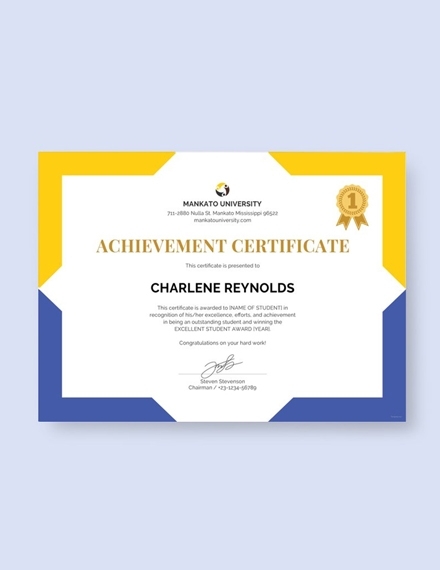 There are two general types of achievement certificates: those that cover academic accomplishments and those that recognize work-related attainments. 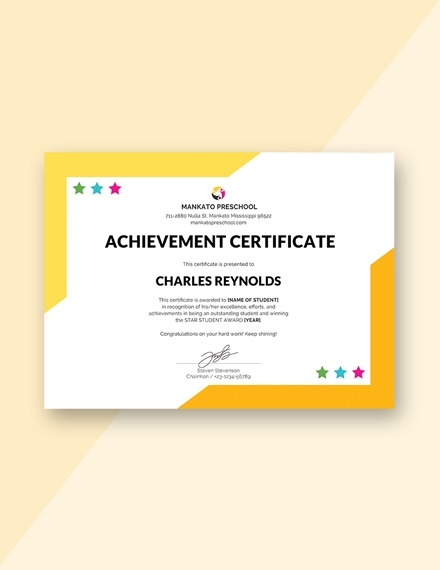 Achievement certificates are often used to nourish a student’s growth. Offering students with a positive feedback is a great incentive and motivator for continuous progress and good behavior within the classroom. It makes a student feel acknowledged for their little victories in life, which can also influence a child’s morale and enthusiasm about school work. 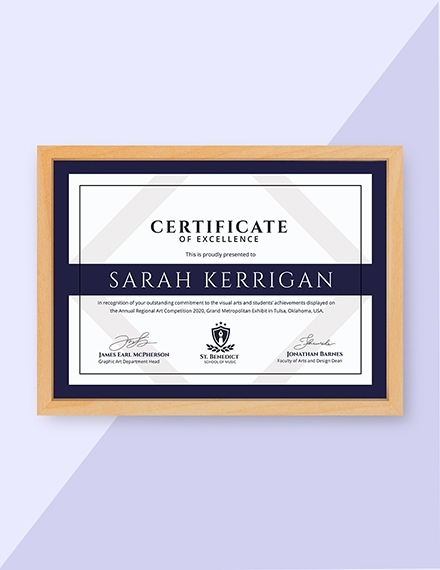 Since some individuals may want to secure their certificates in a frame or envelope, knowing the appropriate printing size for your document is vital. According to industry standards, an 8.5 × 11 inch or 21 × 29.7 cm (A4) printing paper, which is compatible with most office printers, can do the trick perfectly. 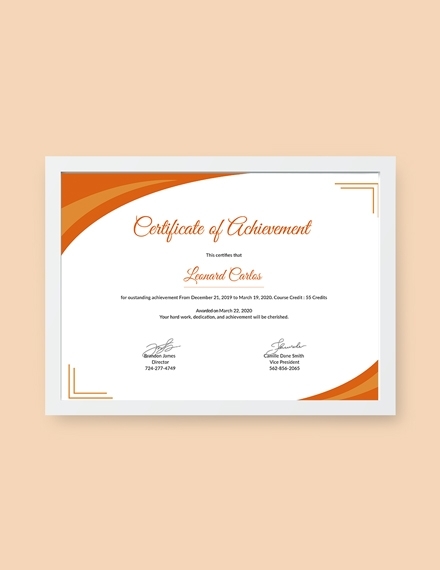 How can I make an achievement certificate? 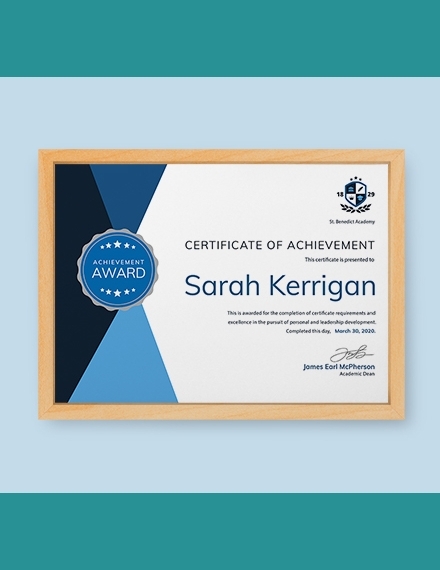 The easiest way to make an achievement certificate is to download a ready-made template online. You can easily edit the given template in an application like Microsoft Word to customize the content of your certificate. This includes both text and graphic elements included in the file. When finished, you can quickly print the document in the size of your choice. 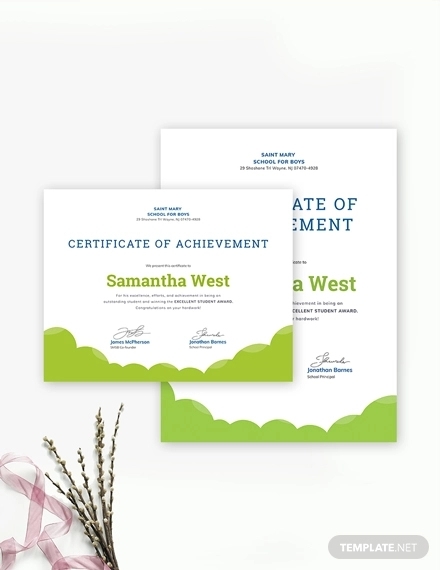 What type of paper is used for achievement certificates? 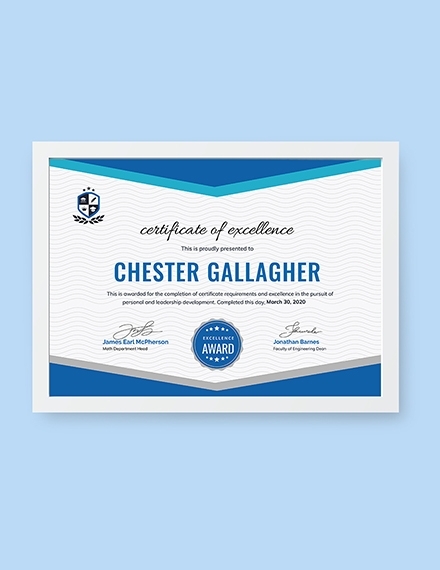 Along with sports certificates and academic certificates, achievement certificates are usually printed on parchment paper. This gives the certificate a unique and mottled appearance for a creative yet professional presentation. 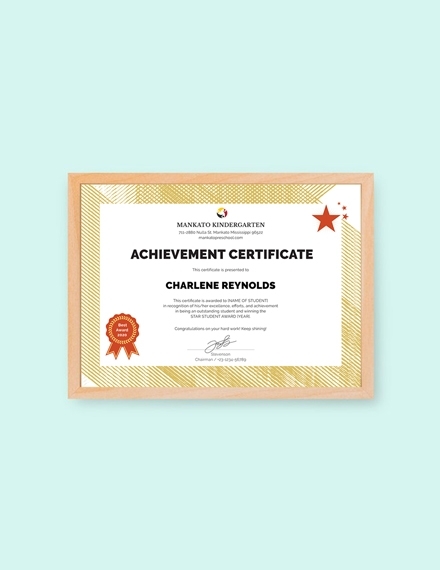 What is the purpose of an achievement certificate? 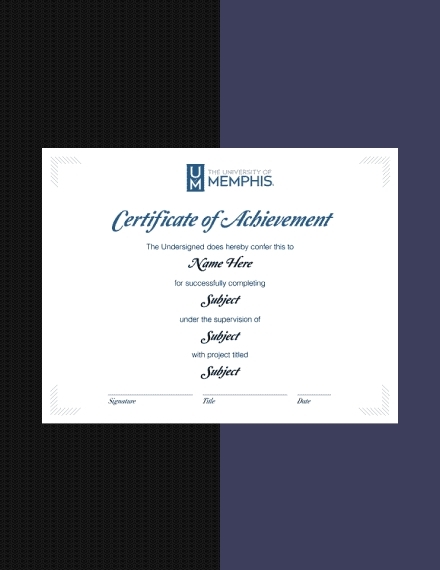 Certificates are a cost-effective way to recognize an individual’s achievements in a particular skill or field of study. 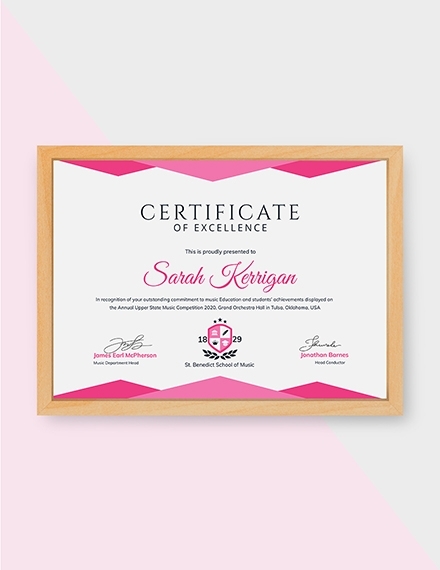 While an achievement certificate is already a reward in itself, some managers hand out gift certificates along with it to provide monetary value to the award. Why is an achievement certificate important? We work hard to reach our personal goals. Unfortunately, success doesn’t happen overnight. There are times when we feel frustrated when our time and effort fail to generate a desired result, leaving us crushed and demotivated to continue further. Thus, it’s important to acknowledge the abilities, struggles, and excellence projected by an individual to make them feel appreciated and valued. An achievement certificate is more than just a simple piece of paper. To many individuals, the certificate is a reflection of the sacrifices made in order to meet a specific set of goals. 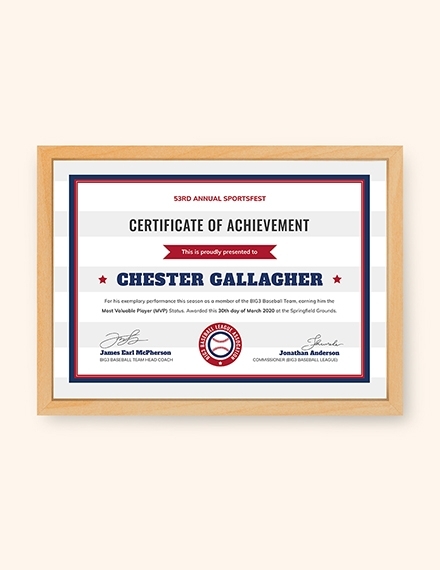 With the help of a well-crafted achievement certificate, you can recognize students and employees for their accomplishments in the most creative and professional way possible.